While the list above might make scheduling less stressful, you’ll also end up with one heck of a hangover and likely be in a worse place than before you started. The Holidays are here! 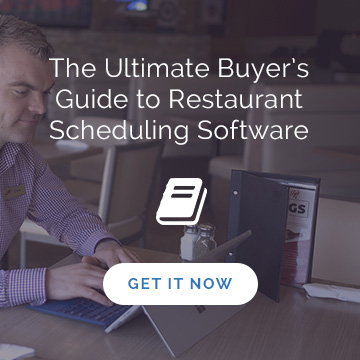 A time for joy and cheer and, let’s face it...some restaurant scheduling headaches. As a restaurant owner, you know that the holidays bring a great opportunity. It’s a time for your restaurant to host office parties and banquets, family gatherings and other festive celebrations. If you’re located in or near a retail area, it can mean an influx in business from weary (and hungry!) shoppers. And it’s a chance to turn some first-time guests into loyal regulars. But you can’t create exceptional experiences for your restaurant guests if you’re short-staffed. Often, along with that uptick in sales comes an increase in vacation and time-off requests. So, during this busy time of year, how can you keep your employees happy without compromising your guest experience or your profitability? Here are five tips to take some of the challenge out of holiday scheduling and make the season merry for your staff. You’ve probably heard the clichéd saying that 'those who fail to plan are just planning to fail'. So let’s be honest: if you’ve put off planning your holiday schedule until now, you’ve got some serious catching up to do. While Christmas and New Year’s might be the last thing you want to think about during patio season, it’s not a bad idea to start the discussion then. Hopefully by the time the snow flies, you’ve already made decisions as to what kind of holiday promotions you’ll be offering, which days you’ll be closed or open extended hours, and whether you’ll bring on some seasonal staff reinforcements. It’s also a good idea to encourage your staff to look ahead as well – the sooner they can get their requests in, the more likely it is you’ll be able to accommodate them. 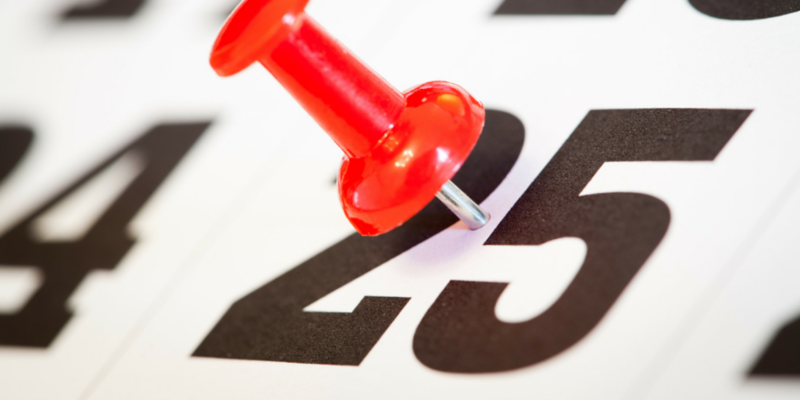 If your restaurant has an established holiday scheduling protocol or black-out dates, make sure to have those posted in your restaurant for all to see. Transparency, right from the get-go, helps your employees know what to expect and builds mutual respect and loyalty. While planning ahead, don’t forget to also look back at your restaurant’s results from last year’s holiday season (or the last couple years’ data if you have it). Identifying patterns can help inform your labor and scheduling decisions this time around and can take some of the guesswork out of navigating the ebb and flow that make the holiday season feel chaotic. Hopefully you’re seeing an upward trend in the numbers year-over-year; if that’s the case, you might want to allow for an appropriate amount of traffic increase this year. Using historical data can help ensure you don’t over schedule (cutting into profits) or under schedule (compromising guest experience and sapping employee morale). Set SMART goals and envision the kind of experience you want to create in your restaurant, and let that picture guide your decision-making so you don’t unexpectedly end up short-handed. Your guests – and your staff – will thank you. Remember that great server you had over the summer who moved away for college? This could be a good time to reach out and see if they’re in town for the holiday break – they might just jump at the opportunity to earn a few extra dollars by helping out at your restaurant. Recruiting temporary or seasonal staff can be an effective solution to provide your full-time employees with some much deserved time off. Also consider asking your regular team members ahead of time to see if any of them are looking to work extra hours over the holiday season. Don’t assume everyone is looking for time off. Some staff members might surprise you by volunteering to work Christmas, New Year’s or other typically “undesirable” shifts, and some might be willing to fill in last minute if things suddenly get busier than anticipated. Your employees are ultimately responsible for shaping your guests’ experiences – imagine them as your restaurant’s ambassadors. This is not the time to burn them out or run them ragged. Instead, build up some solid bench strength to provide support when needed. Gone are the days of having to rely on binders and bulletin board for swapping shifts or requesting time off. 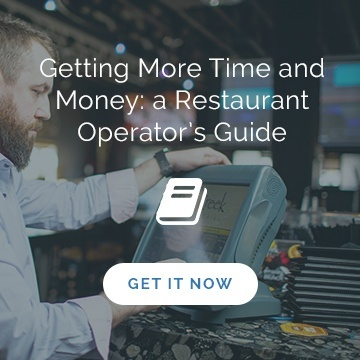 Restaurant management software makes it easy to communicate with your team – and for team members to communicate with you and with each other – through the channels they’re already comfortable using, like text or email. In addition, some programs have mobile apps that can help facilitate dropping or picking up shifts, and let your managers know which staff members are scheduled to work a given shift. Apps are great for reducing the stress level of everyone involved. Along with streamlining communication at all levels of your business, the right tool can help you with tip number two listed above by allowing you to better track, measure, and adjust your labor forecast. Keeping your employees’ spirits high during the holidays can feel like a challenge, especially if you’ve had to ask them to give up time with family or friends. But remember - even a small token of appreciation can go a long way. Gift cards are one solution, even in small denominations. Approach a fellow business owner to swap gift cards from your restaurant for gift cards from their business. Or get a few team members involved in planning a staff celebration to take place during the hours you’re closed. This can, of course, happen in the New Year once the holiday rush has subsided, and if it’s difficult to arrange a time for the whole gang to be together, consider splitting into groups for smaller activities. If budget is a concern, remember that money’s not the only way to show appreciation. Heartfelt words of encouragement or personal, handwritten notes can be just as significant. And sometimes it really is better to give than to receive. Find a cause that is meaningful for your restaurant’s brand or your team members, and encourage participation. For example, Lehigh Pizza runs a Pay-It-Forward Pizza program where you can donate a slice of pizza to the needy. Whether it’s bringing in canned goods for a Christmas hamper, or delivering unsold pastries to a local shelter, or donating a portion of tips to purchase an item from World Vision’s gift catalogue, there are plenty of charitable opportunities to help those in need this time of year. However you decide to celebrate the season, your goal should be to make your employees feel valued and encourage a spirit of teamwork. If you radiate stress, your staff will feel it too. But if you approach the busy holiday time with positivity, your enthusiasm can be contagious – ultimately leaving every staff member with the feeling that you’re all in this together.